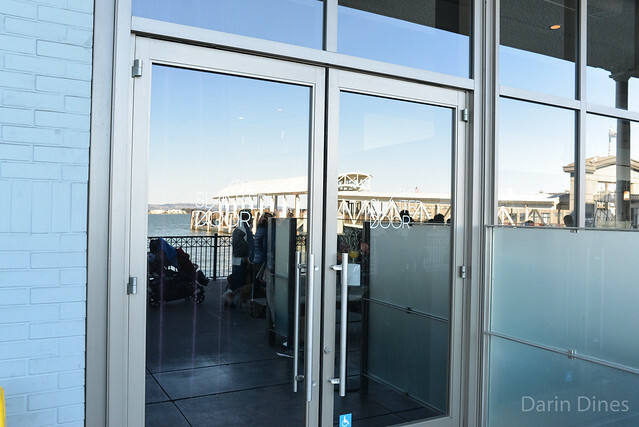 It’s been five years since I’ve been to the Slanted Door, Charles Phan’s flagship Vietnamese restaurant in the Ferry Building. 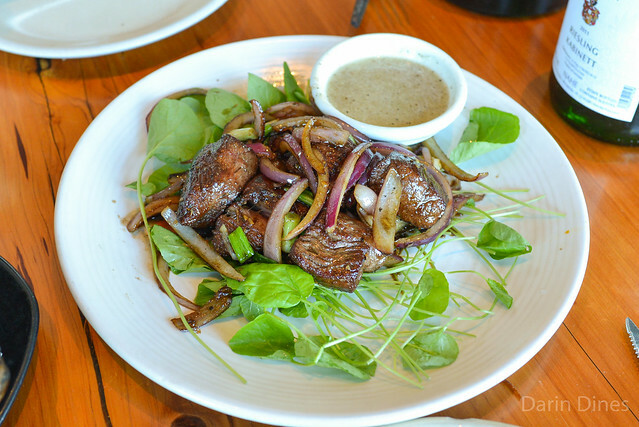 The restaurant is as popular as ever since opening eleven years ago, recently noted as the highest grossing independent restaurant in California last year. 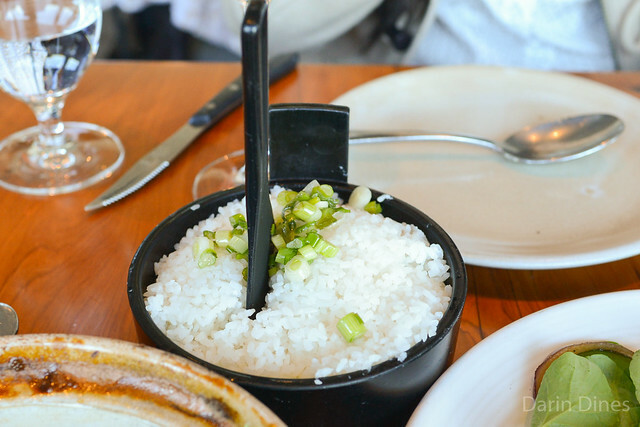 Given the announcement of the second Slanted Door location opening up in downtown Los Angeles, I thought it was a good time to revisit. 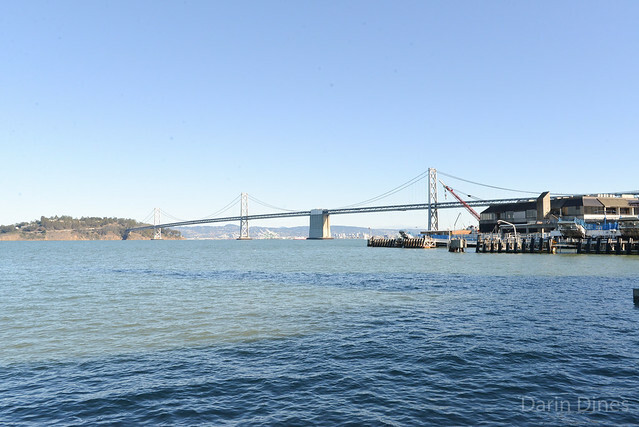 I made a reservation pretty far in advance for a Saturday lunch while the Ferry Building farmers market would be open. Two birds, one stone. 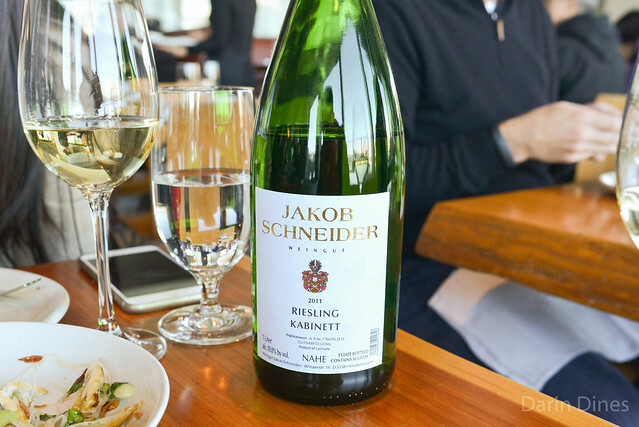 Unsurprisingly, the wine list is heavily slanted towards Rieslings. 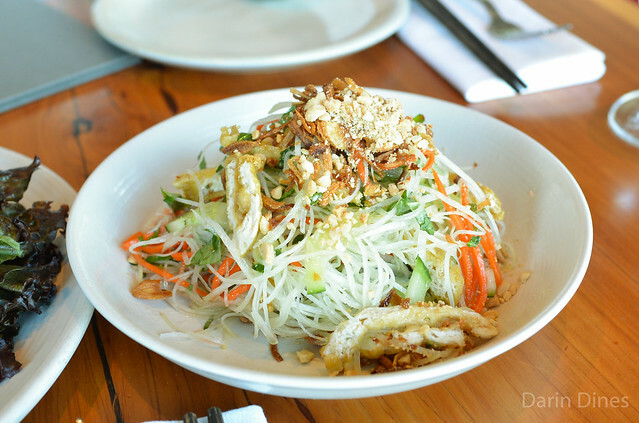 Green papaya salad was refreshing with some delicate textures from shaved vegetables and peanuts. Not spicy at all (yes!). 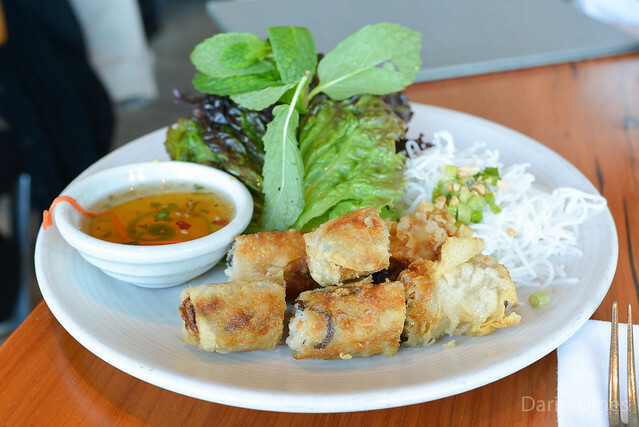 Imperial rolls were warm and crispy with some bright aromatics and greens. 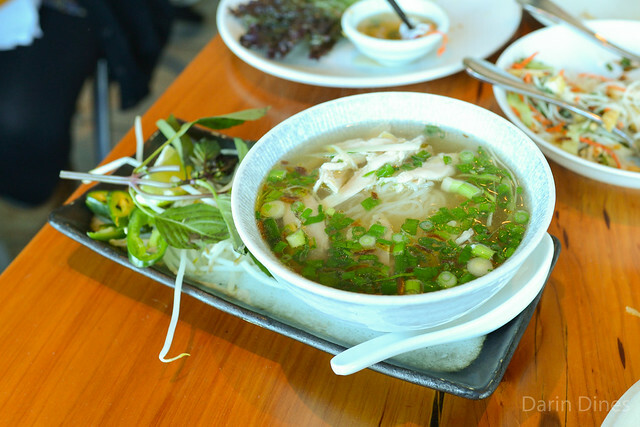 Chicken pho had great depth of flavor with a well-balanced broth. Perfect on this cold SF day. 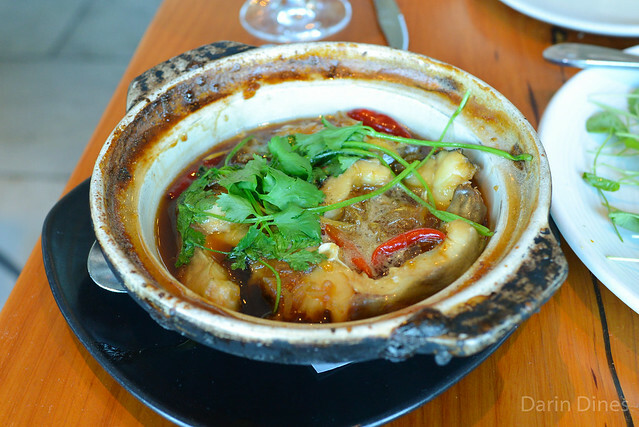 This catfish claypot was slightly sweet but very savory. Tender chunks of the fish soaked up the delicious sauce, delicious over some hot rice. The signature shaking beef had good flavor, although a couple of the pieces of tenderloin were a little chewy. A good dish, but I think the $38 could be better spent with some other plates. 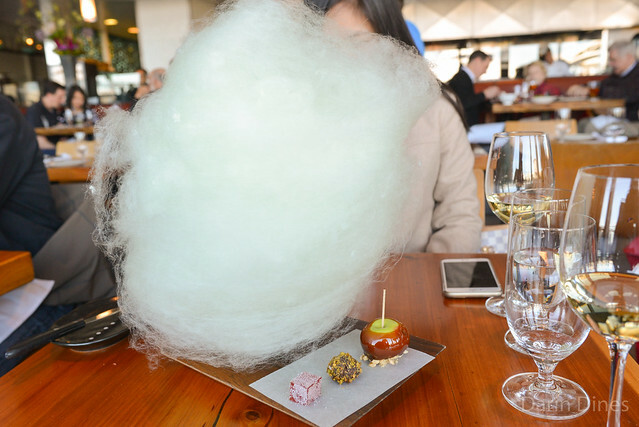 We finished with an impressive cotton candy display and a few sweets – caramel apple, pistachio truffle and pate de fruit. 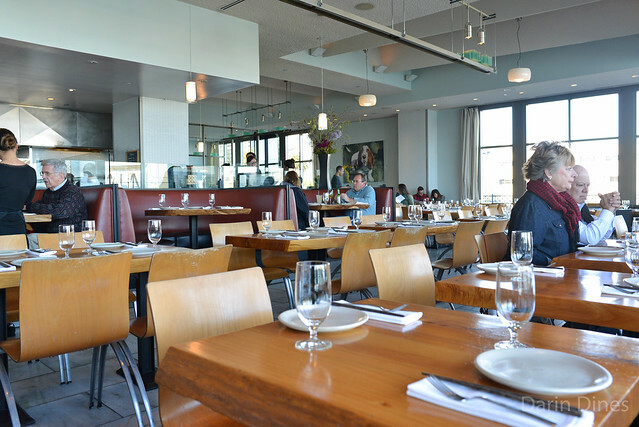 We had a good meal at the Slanted Door. The food was delicious and generally executed well. And this is still one of the best views in the city. I look forward to seeing the restaurant in downtown LA.